2010 was a year of mostly mediocre books for me, so I was hard-pressed to choose at least 4 that were really good enough to be worthy of the 'best of 2010' title. Additionally, only a couple of books I've read this year were actually 2010 releases, and I've reviewed only two or three of them. Oh well. What can I say? It blew my mind. I've since read The Affirmation and I had a hard time deciding which one of the two was better. Priest's unreliable narrators are simply awesome. The one book on this list that I've actually reviewed :) I put it on this list partly because it really was one of the best books I've read this year, but also the most surprising one (in terms of quality). 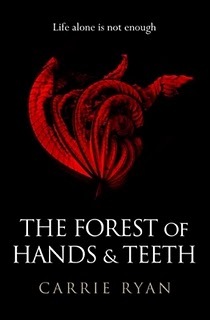 You can read my review of Forest of Hands and Teeth here. Definitely one of the best fantasy series I've read lately. I admit that I've not yet read the last book, but the first three were really good - and, which was even better, the quality went up with every next book (instead of down, as it so often happens). I honestly liked all of it - the setting, the characters, the plot. This was my last (finished) read of 2010. 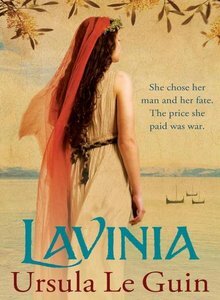 I heard a lot of praise for Lavinia, but I hardly imagined that it will be that good. It was really nice, finishing a year of mostly unimpressive books with an unexpectedly good one. Lavinia will be reviewed here; I'll probably put the review online next week. Empress by Karen Miller. First book I was unable to finish in a long, long time, partly because the plot was going nowhere, partly because the protagonist was so incredibly annoying. The Dead-Tossed Waves by Carrie Ryan. 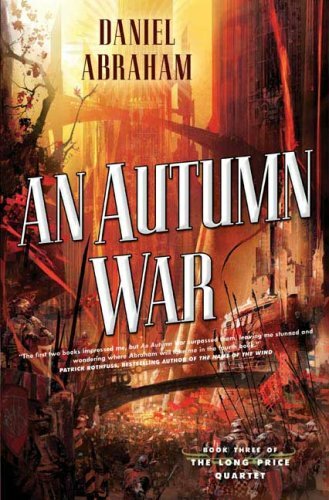 After the surprisingly good first installment in the series, I expected something equally good from the second book, but got a lukewarm plot and boring protagonist instead. 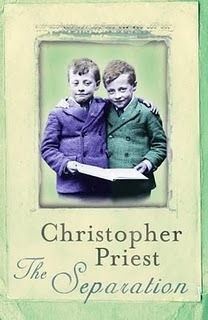 The Islanders by Christopher Priest -this will be his first novel in a long time and I'm curious what it will bring. The Wise Man's Fear by Patrick Rothfuss - I liked The Name of the Wind, but this book will probably decide whether I'll keep following the series or not. The Cold Commands by Richard Morgan - I got the impression that not many people liked The Steel Remains, but I actually enjoyed it. I just hope that the sequel will be as good or better. His Father's Fist by Matthew Stover - Yay! ^^ After Blade of Tyshalle, which was great, I found Caine Black Knife a bit disappointing, mostly because it was very short and ended, if I remember correctly, with a huge cliffhanger. Naturally, my hopes for His Father's Fist are high. Last, but not least, let me wish you all a happy 2011 :) May it bring as much joy as possible.